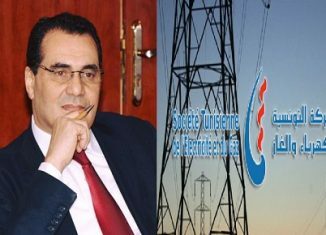 A few days ago, an internal document of the Tunisian Electricity and Gas Company (STEG), leaked by a member of the labor union of this public company, announced the forthcoming bankruptcy of the energy producer and distributor in Tunisia which employs 12,388 people. According to this document, the cumulative deficit of the STEG would amount to almost 2 billion TD, its claims would be around 1.5 billion DT, a cash deficit of more than 4.5 billion DT and the company would have consumed all its capital, and the unionist says it is in a “state of clinical death.” Let’s say it right now: the STEG will not go bankrupt. It is indeed a public service company, 100% state-owned and enjoys the full support of the state. It will therefore fall into bankruptcy only when the entire Tunisian state will be declared in a state of cessation of payment. Like public banks, its financial rating, for example, is closely tied to the sovereign rating of the entire state. Like all public companies, the Steg is headed by a CEO, but managed by a board of directors where the state is heavily present, starting from the representative of the Ministry of Industry, without the agreement of whom the CEO of the STEG will not be able to do much thing. A Board of Directors where the UGTT of the unionist-mole has 2 seats. In other places, it would be called a breach of trust! Denouncing and accusing the governance of the company, of which the main trade union is part in this affair means questioning the governance of the State and that has no other explanation than an attempt from the union to change the current CEO. This, for reasons that remain unclear, especially as Moncef Harrabi is from the company itself and STEG staff have already shown unfailing dedication in 2011 and during the natural disasters that hit Tunisia. Then we come to the reasons for this critical financial state. 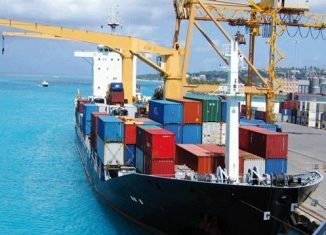 The union official, politicized at Montplaisir according to our sources, refers to the credits granted to the STEG by the International Islamic Trade Finance Corporation (ITFC) and a number of local banks. It is important to note that all these loans are negotiated by the board of directors of the company and fully guaranteed by the State, which is the sole shareholder of the STEG. One of the other causes of the deficit of the STEG rests in the receivables, in particular with State institutions and public companies (700 MDT), which most of them are already deficient and breathe hardly, thanks to the subsidies of the State. It would therefore be sufficient for the state to reimburse the STEG for its situation to improve, so that the financial account can easily be balanced, contrary to the fears of the Islamist trade unionist. Add to that the 750 MD of debt in private individuals who become even physically aggressive against STEG agents who come for recovery. Except general hypocrisy, everyone knows that everyone, individuals, businesses and farmers, fraud the STEG. There are even electricians specialized in the installation of means to divert the meters. Why would this unionist not call for a protest sit-in against citizens who do not pay their bills? It will also be recalled that the STEG is the arm of the state in terms of investment, as for the construction of the distribution networks of natural gas, or construction of power generation plants. That electricity feeds individuals and businesses that create jobs and generate “development”, which is a popular demand for all events in deprived areas. The latest wage increase for state-owned companies would have been enough to build a new thermal power station, or to bail out the STEG’s coffers. Did his UGTT think about it? He consumes almost free and denounces the low prices for others! Imagine then the reaction of the UGTT and all political parties if the STEG were to cut electricity to factories, such as those in Kasserine or Gafsa, or hospitals, universities and schools that would not pay their bills to sacrifice to the sacrosanct principle of profitability or even the financial balance of a company like the STEG. Would thousands of workers and their unions support the STEG’s decision? Imagine also that the Department of Industry authorizes the STEG to raise its prices in the proper manner. At which cost the fellow citizens of this religious unionist would they buy the electricity that he consumes almost free of charge as an employee of the STEG? It should be recalled that this religious unionist did not seem to have read in the internal documents leaked by him that at this price of selling electricity to the public, which is equal to the cost of production that is one the lowest in the world, the turnover of the STEG (4200 MD) does not cover the cost of fuel purchased by STEG (4300 MD) to produce electricity that he almost does not pay it because he works in the company. And so? Where is the real solution? The STEG certainly has problems, especially financial. But does the solution really lie in rising prices? Top local economists will tell you no. Why? 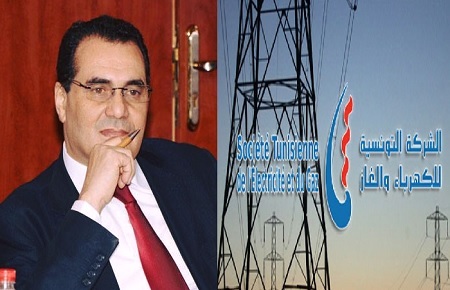 First, because it will further destroy the purchasing power of the citizen, increase inflation and demolish the competitive power of the companies, in a country where the strikes organized by the same union to which belongs the trade unionist-mole ended up making Tunisia a 100% energy importer. The solution lies in more investment by the STEG-State, to prepare its distribution network for the connection and purchase of electricity to be produced by private companies. It rests especially in the acceleration of the installation procedures and putting into production of the solar plan. The sunshine rate of Tunisia and the extent of its desert are suitable for it and investors jostle at the door. 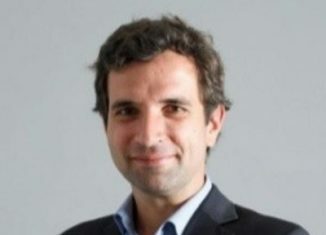 As a member of STEG’s Board of Directors, the UGTT of the trade unionist-mole would have done better to push the company and the government to open up more to private electricity production and to facilitate the administrative procedures for the implementation of the solar plan as soon as possible.